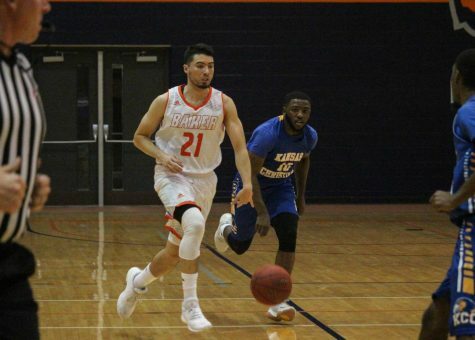 The men’s basketball team finished its regular season with two straight losses. 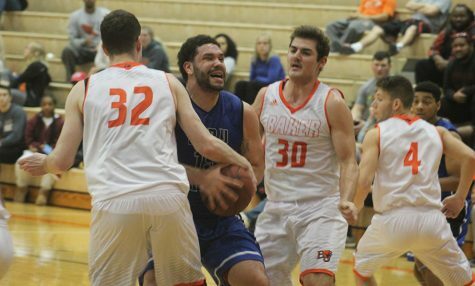 Baker lost to Peru State 82-70 on Feb. 26 and also suffered a 71-56 defeat at the hands of the Missouri Valley Vikings on senior night Feb. 28. The ‘Cats finished the regular season with an overall record of 9-19 and 3-15 in conference play to earn the No. 9 seed in the HAAC tournament. 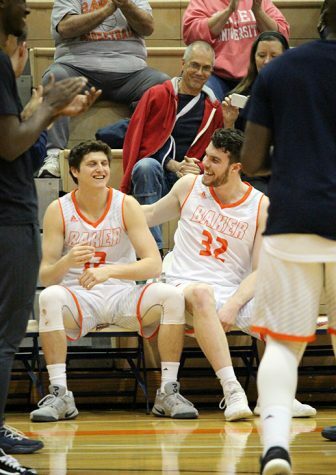 Although it was a sour ending for the Wildcats’ regular season, head coach Sean Dooley is proud of his two seniors EJ Carter and Jared Fulks. Despite the loss, Baker’s two seniors gave valiant efforts in the game. Fulks was efficient shooting 2 of 3 from behind the arc and 7 of 9 from the field, resulting in a team-high 17 points with 2 steals. Carter was not quite as efficient from the floor going 3 of 14, but he got most of his work done at the free throw line shooting 4-6 with 11 points. Sophomore Javeion Gray added 8 points, 4 rebounds and 4 assists. 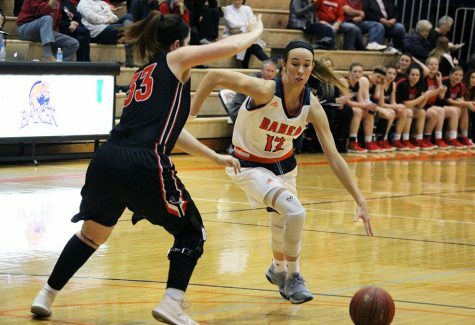 The Vikings were simply more efficient from the floor shooting 51 percent, 53.8 percent from three and 73.7 percent from the free throw line. The Wildcats shot 64.3 percent from the free-throw line, but shot a less than impressive 38.5 percent from three going 5 for 13 and 44.7 percent from the field, which wasn’t enough when the opponent shot above .500. 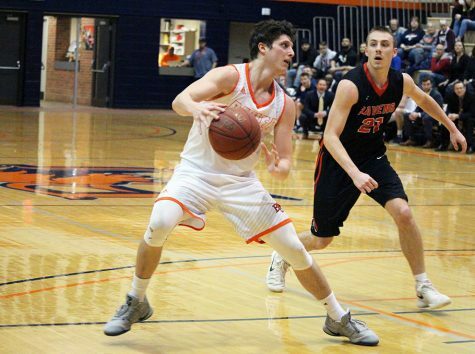 The Wildcat seniors will be looking to leave this game in the past, as they will face Avila University in the first round of the HAAC tournament at 7 p.m. on Tuesday in Kansas City. 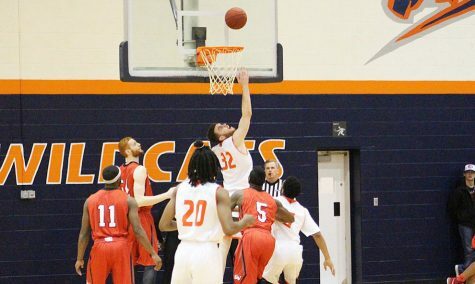 Although the odds are stacked against the Wildcats in the HAAC tournament as they enter as the No. 9 seed, coach Dooley is confident in his team to play quality basketball. 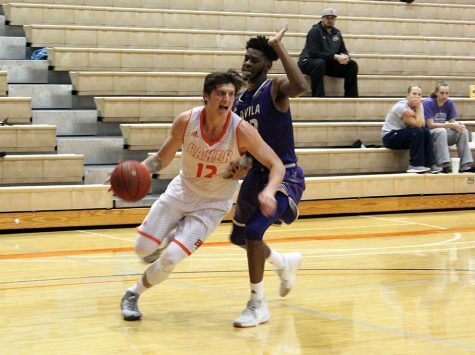 The Baker men have already taken two losses at the hands of the Avila Eagles this season, but they feel like they can overcome that adversity to pull out a win in the HAAC tourney for a chance to continue play in the postseason. If the Wildcats win then they would advance to play at No. 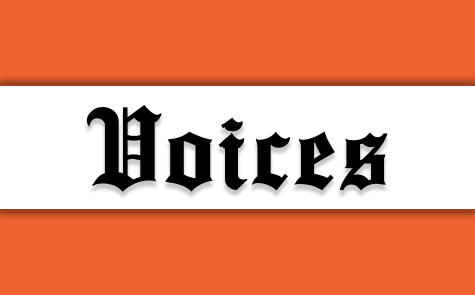 1 Evangel at 7 p.m. Thursday in Springfield, Missouri.